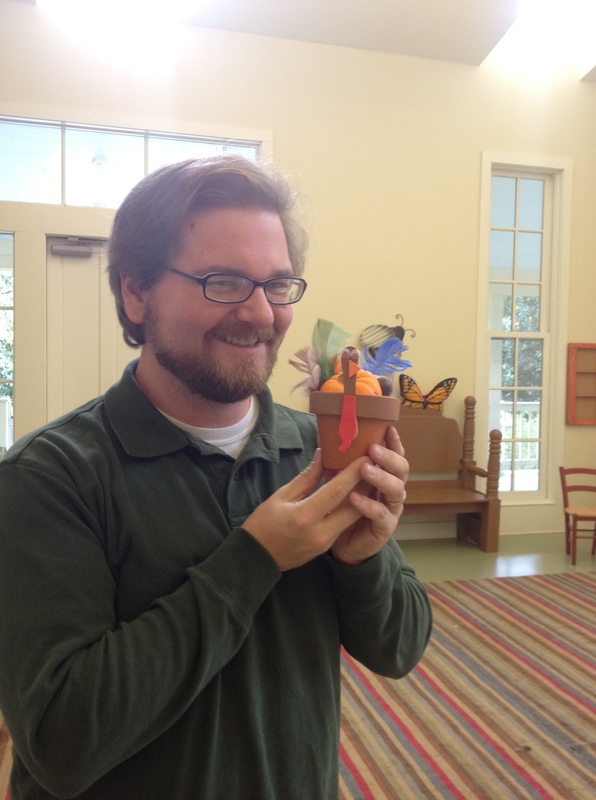 I signed up to volunteer with the Caterpillar Club at the Memphis Botanic Gardens. The Caterpillar Club is a program for toddler and pre-schoolers that encourages creativity, singing, and cooperation for young kids. The “Guest House” was adorable, open, sunny space and well-appointed for all types of crafts and learning opportunities. I worked with Drew Massengale and helped the kids assemble their turkeys, which Drew modeled for the camera. I would be remiss if I did not mention Page McCoy. Page is the volunteer coordinator for the garden and she was my first point of contact for this experience. She got back to me right away and made a point of telling me how much they appreciate their volunteers. 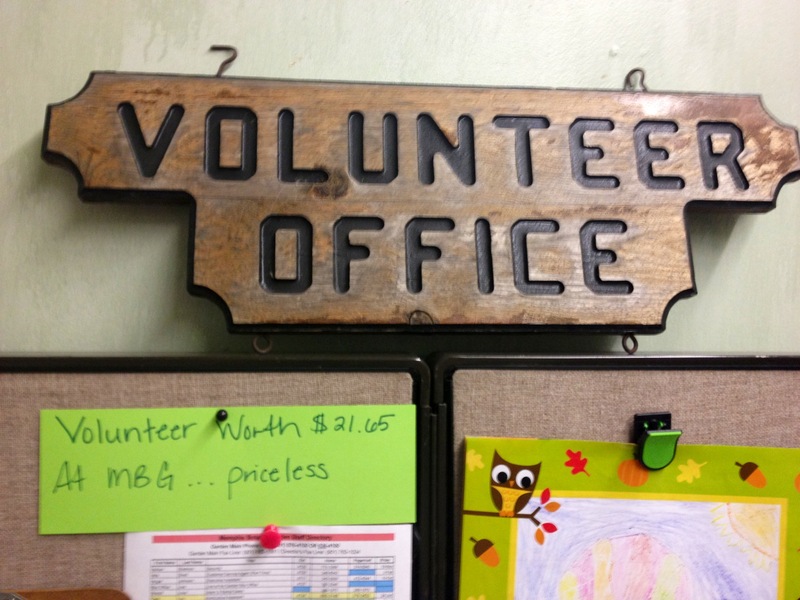 She explained that they need volunteers in order to put on their fundraising events throughout the year and the math was simple, “Volunteers enable us to host these events and to raise the funds we need to keep offering our programs.” While talking with Page, a sign on her desk caught my eye. A well-sited statistic is that a volunteer’s time is worth over $21 an hour, but as evidenced by this picture, Page disagrees. I like her message! At Memphis Botanic Garden, volunteers are priceless! At Memphis Botanic Garden volunteers are priceless! If you’re looking for a fun experience with a great team, this is the perfect place to volunteer! Volunteer! The Memphis Botanic Gardens is always looking for volunteers to help with their events. If you like plants and gardening you’d be the perfect horticulture volunteer. If you’re into building and designing (yes!) join their holiday build team! Surely someone wants to help me build a giant snow globe! Many people have asked me about good volunteer opportunities for kids. Some of these events would be a great fit. Talk to Page about good options for different ages. Come to a fundraiser! Check out their event calendar. You’ll definitely find me at Snowy Nights playing with their giant light brite! Donate. As always any amount is appreciated! Contact the wonderful Page McCoy at page.mccoy@memphisbotanicgarden.com to feel priceless!